Legends of the Hidden Temple was an iconic piece of classic Nickelodeon programming. The show only ran from 1993-1995, but don’t let that short run fool you. It was an iconic show that many of us loved, and if we were being honest, most of us had a secret certainty that we could absolutely rock the epic Temple Run at the end. For those who don’t remember or didn’t watch Legends, the Temple Run was the killer final challenge of the show where kids had to zip through an “ancient temple” solving various riddles, challenges, and puzzles. And while the entire run was filled with a pretty intense gambit of physical and mental obstacles, there was no challenge that proved to be as much of a nail-biter than the damn Shrine of the Silver Monkey challenge. 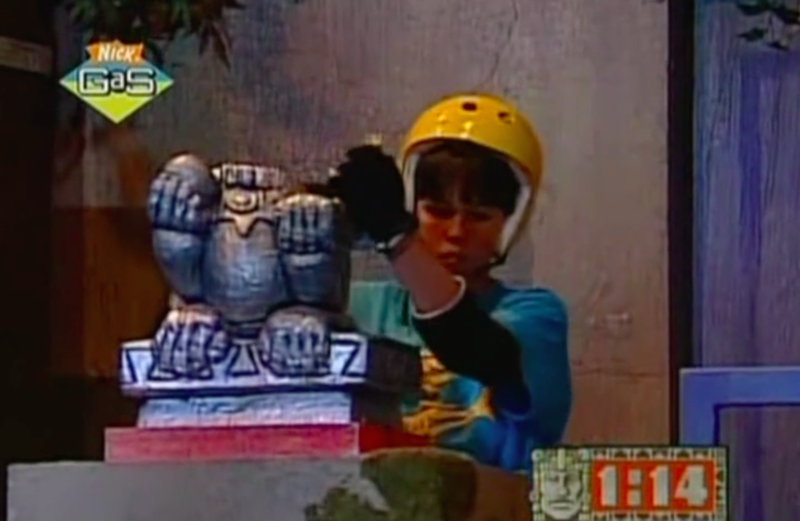 The Shrine of the Silver Monkey challenge asked contestants to put together a three-piece “shrine” of a monkey. The three pieces were pretty large, and the biggest obstacle was collecting the three pieces (which were often in places that were hard to reach for kids, but not hidden), and making sure the pieces faced the right direction. On paper, it seems laughably easy. And honestly, in a zero-pressure situation, it certainly is. But for a kid with their adrenaline pumping, an audience watching, and the pressure of a countdown clock ticking in the background, it can be pretty intimidating. More often than not, kids would completely botch that part of the Temple Run. Despite understanding the extreme stress that these kids were under, it’s still hard to watch a contestant struggle and ultimately fail at assembling the Shrine. So naturally, someone decided to make a giant, horrible video filled with nothing else but kids failing at building the shrine. Everything Is Terrible! made this video, and it’s basically the closest thing to a stress dream that the internet has ever wrought. Honestly, you can’t help but start yelling at your computer screen while watching this, right? But man, it certainly brings back memories of how awesome this show was. While it’s rough to watch a huge mashup of kids just barely missing the mark when it comes to building this shrine, it’s absolutely giving us all of the nostalgia feels. Legends of the Hidden Temple was such a staple to so many of our childhoods, and even though this challenge is arguably a pretty rough thing to put a kid through, we’ll always have fond memories of this show. And yeah, we’re still pretty sure that we’d totally rock that Temple Run.